Included for 7Ci, 7Mi - CHS Series 7 AAA NiMH Battery Replacement, 10-Pair (20 Batteries). +40ºC) Includes: 1 Rechargeable Li-ion 3.7V Battery Pack. Compatible with the CHS 7Qi. the scanner to the Charging Stand. recharge and allow easy storage of the CHS 7Ci / 7Mi / 7Qi scanner. the cradle is ready and available for charging. - The Charging Mount is a mount for the CHS Series 7 barcode scanners. It is designed for placement flexibility to maximize barcode scanning. Included - Allows you to charge the CHS Series 7 barcode scanner from a USB slot. 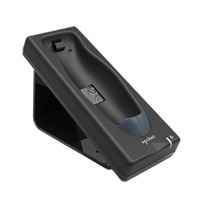 Conveniently charge Socket Bluetooth Cordless Hand Scanner (CHS) Series 7 barcode scanners from a USB slot (2A maximum). Plug directly into CHS or into CHS charging cradle. Includes: 1 Power Adapter 100-240V, 5V/1A (North America & Japan) and 1 USB to DC plug. waiting to be drawn whenever you are ready. rotate and easily remove for convenience.